It makes sense when you think about it doesn't it? Wetsuits should be designed by people who really understand stroke technique and what is holding swimmers back. Coaches who understand how wetsuits should be tailored to different stroke styles to really optimise the swimmer's performance. Shouldn't they also be designed by the world's leading sports scientist studying swimming and hydrodynamics? A man who has worked with Olympic Gold medallists to study and select speed suits designs that have dominated the last few Olympiads? Suits so fast they had to be banned! This would be quite a combination, especially when their crazy ideas are diligently interpreted and implemented by a man with twenty two years of experience in the triathlon and wetsuit industry. 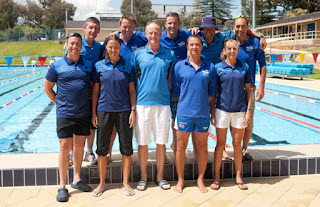 Enter industry stalwart Dean Jackson (formerly of Blue Seventy, Orca and Quintana Roo) who realised this dream combination, assembling this unique design team including world leading swim coaches Swim Smooth and internationally renowned sports scientist Professor Huub Toussaint. The mission was simple: develop the fastest wetsuits imaginable, not just for top elite swimmers but suits that are devastatingly quick for age groupers too. Working with Dean and Huub we redesigned the standard wetsuit from scratch, each new suit design focusing on a particular group of swimmers and their individual stroke characteristics. Be they leg sinkers, strong kickers, female or male, open water specialists or even overgliders - we developed a wetsuit perfectly complimenting and improving on that stroke style. Each group of swimmers has unique needs and stroke faults that can assisted and even corrected by their wetsuit. This is why these new suits are so fast: thanks to Prof Toussaint they are super-slippery through the water and thanks to Swim Smooth they fit your individual stroke style like a glove and actively improve your technique as you swim! The suits go on sale in the UK and USA in April and the new Huub website will have Swim Smooth's full guide to selecting your suit based on your stroke style. If you already know your Swim Type then this will be especially easy for you. Over the last six months we’ve had trouble containing our enthusiasm for these suits whilst working on them: We're extremely excited about their potential to improve your swimming performances in 2012, make sure you check them out! We're Coming To The Triathlon Show, London! Exciting news: Swim Smooth will be at the Triathlon Show (formerly TCR) at Sandown Park, Surrey, UK from March 2nd to 4th. Paul Newsome and the rest of the team are flying in from Australia and will be there to say hi and talk about your swimming. Bring a video clip of your stroke along too for us to look at (see below). If you missed out on a place on our clinic series, here's another opportunity to catch us in the flesh! Bring along video of your swim stroke on a USB memory stick or DVD and have it analysed by a full Swim Smooth Coach! We'll give you insight into what's holding you back at the moment and provide some simple but effective tips on how to improve your swimming going forward. Good quality footage is ideal but you will be amazed what we can glean from basic clips. We should also have web access on the stand (although we can't guarantee this) so if your video is on You Tube or similar we can also pull it up from there. We're landing in to the UK in March. Digging into Swim Smooth's extensive archive of video footage, understand the five classic undiagnosed technique faults and why they might be present in your own stroke. Using our insightful HD video analysis of some of the best swimmers and triathletes in the world, Head Coach Paul Newsome will show you how to fix those faults and explain the common misconceptions and pitfalls that may be holding you back with your swimming. Taken from the Swim Smooth Age-Group & Elite Squads in Perth Australia, Paul Newsome shows you how to prepare perfectly for triathlon and open water swimming whatever your ability level. There are three essential elements (we call them 'The Keys') to perform at your best in the water - we'll show you how to maximise each to exit the swim higher than you ever thought you could. Get a preview of our swimming DVDs on the big screen and take a look at our waterproof training plans. Ask one of our coaches about Wetronomes and Tempo Trainer Pros and we'll show you how they work and how they can benefit your swimming. We can't wait to touch down on British soil and meet you in just a couple of weeks time - see you at the show! You're swimming a set of 8x 200m and you are on number three. Your heart rate is high and your breathing deep, and you're feeling some heaviness and burn from your muscles as they resist the effort. There's still another five reps to go, perhaps 15 or 20 minutes of hard work ahead of you, which right now seems like an eternity. potential as a distance swimmer. What are your thought process in this situation? Are you longing to stop? Thinking of a good excuse to shorten the set? Or perhaps you avoid training sets completely knowing they are uncomfortable? This 'discomfort time' is the critical period where your body's systems are challenged so that after the session they adapt and you gain fitness. Without reaching this point you won't gain the fitness improvements you are looking for. So this 'discomfort time' is not just unavoidable when fitness training, it should be something you are actively seeking out. The psychology here is very important, don't think: "God, this is really tough." Instead, replace that thought with: "OK, this is what it is all about. Swim it out, one stroke and one lap at a time." Embrace the discomfort as a place you want to be and you will have fundamentally changed your thinking. From there on training sets start to feel much easier. It's essential you keep these thoughts very simple as most of your focus will be required to maintain your effort and pace things out well. If you've been following Swim Smooth for a while you will know we are big fans of CSS / threshold training. This involves sustaining a strong pace for longer periods will short recoveries and is quite distinct from sprint training which is attacked at a faster pace but with longer recovery periods. Swimming at this pace does not feel like sprint training and the effort progressively builds over the set while holding the same pace. Initially it may feel around 6 out of 10 for effort but progressively builds up to a 9 out of 10 by the end of the set. 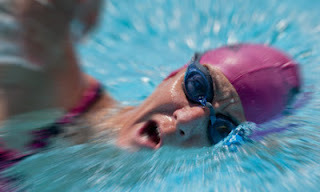 Pacing these sets well is essential (with the same pace for each repetition) even if you have to start a little slower, that way you will get the right fitness gains and can maintain your stroke technique throughout. CSS / threshold pace targets the energy systems critical to distance swimming performance so that they adapt and improve. Sports scientists call this training principle 'specificity' and it really works - experience some consistent weekly discomfort in your CSS sets and your swimming will come on leaps and bounds. It could be just what you are lacking with your swimming. Swim Smooth are excited to announce four UK Clinics in Loughborough, Stirling and Corby in March. Each one day clinic features full video analysis and stroke correction, and is strictly limited to 12 swimmers - perfect for any swimmer or triathlete looking to improve their speed and efficiency in the water. We may also have a clinic in Birmingham on the 6th of March but this is not yet confirmed. This series is quite short compared to previous series as we are mainly focusing on Coach Education on this trip over from Australia.